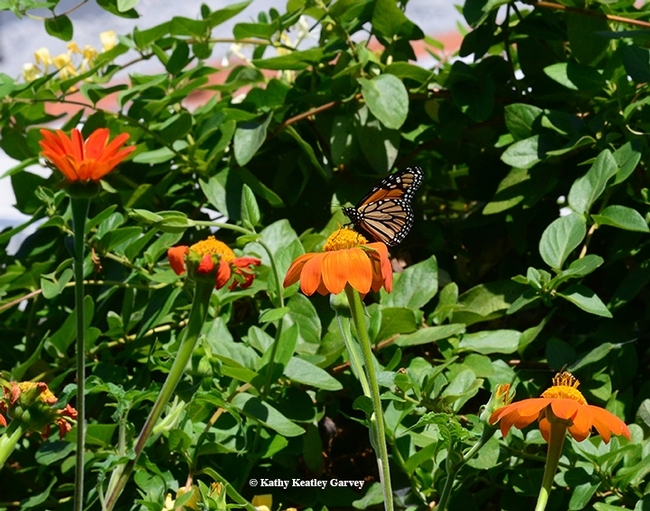 Our little pollinator garden in Vacaville, Calif., usually draws dozens of them in the summer as they flutter around, sip nectar from the Mexican sunflower (Tithonia) and lay their eggs on their host plant, milkweed. Then in late summer and fall, the migratory monarchs from the Pacific Northwest pass through on their way to their overwintering sites in coastal California, including Pacific Grove and Santa Cruz. Something is happening this year, and it's not good. As a "monarch mom," I reared and released more than 60 in 2016. This year so far: zero, zip, zilch. In fact, I never saw a single monarch in our pollinator garden this year until Monday, Aug. 13, and then again today (Friday, Aug. 30) when a male fluttered in and hung around for several hours. This time last year and in 2016? Often five to seven sightings a day. "What's going on with the monarchs?" I asked butterfly expert Art Shapiro, UC Davis distinguished professor of evolution and ecology, who has monitored the butterfly population in central California for more than four decades and maintains a research website. "All I have on our milkweed are aphids and milkweed bugs, and occasional bees and hover flies." I also haven't seen a single monarch on the UC Davis campus. Neither have fellow photographers and naturalists who keep an eye out for them. Background: Shapiro has been surveying fixed routes at 10 sites at approximately two-week intervals since 1972. They range from "the Sacramento River delta, through the Sacramento Valley and Sierra Nevada mountains, to the high desert of the western Great Basin." 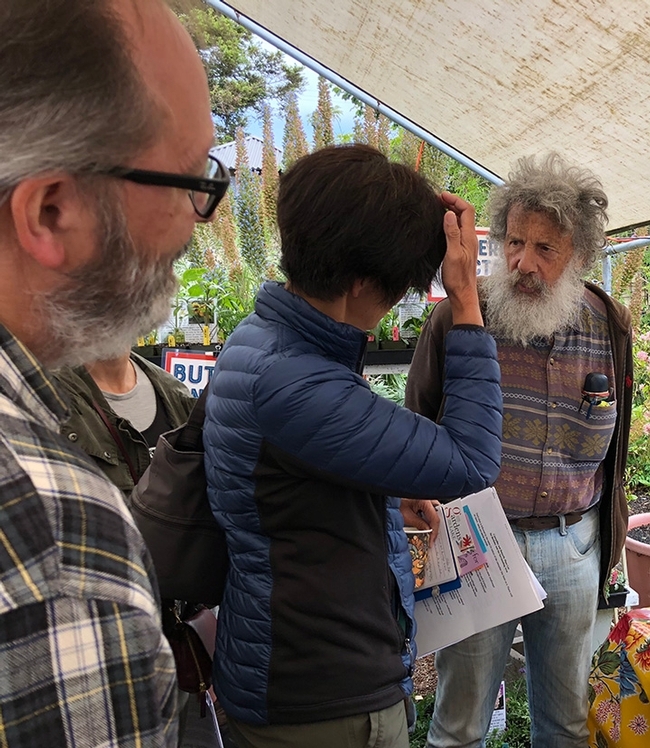 As he says on his website, "the sites represent the great biological, geological, and climatological diversity of central California." 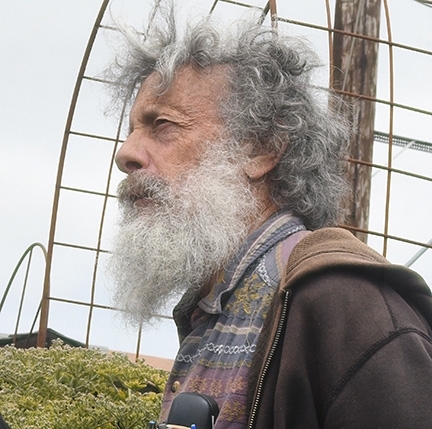 As of the end of 2006, he has logged "5476 site-visits and tallied approximately 83,000 individual records of 159 butterfly species and subspecies. 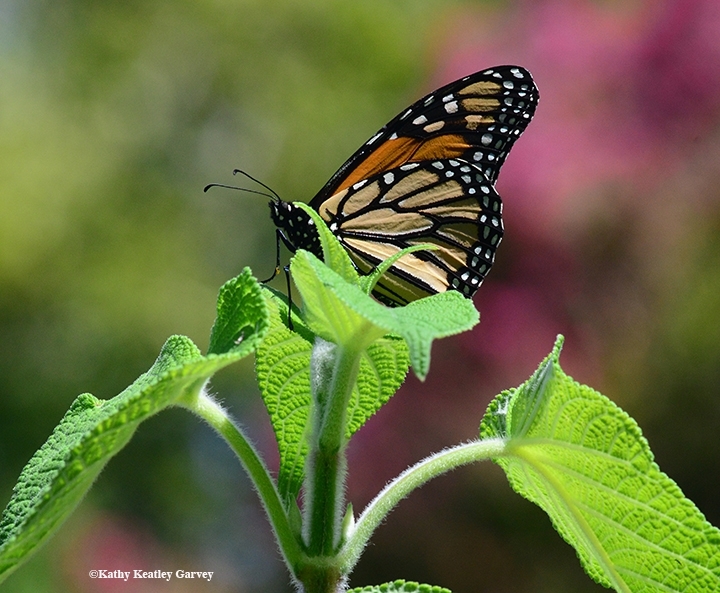 This major effort is continuing and represents the world's largest dataset of intensive site-specific data on butterfly populations collected by one person under a strict protocol. We have also collated monthly climate records for the entire study period from weather stations along the transect." So, what's going on with the monarchs? "You are not alone (in not sighting them)," he related in an email yesterday. 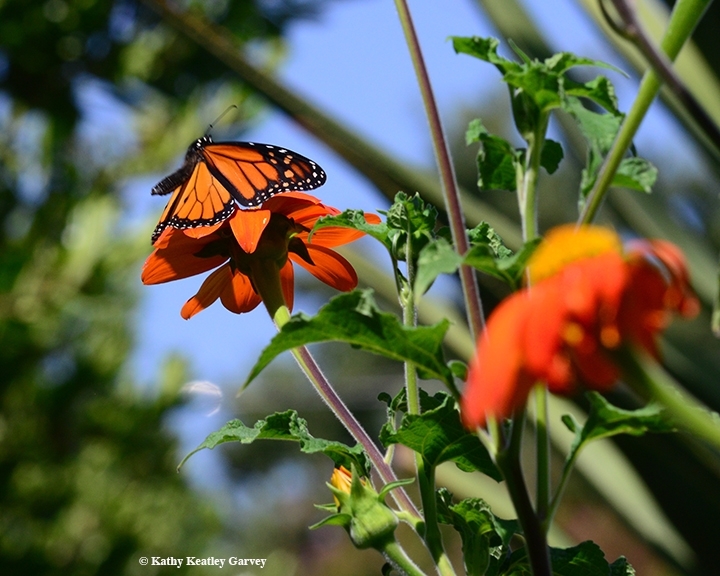 "I have seen one adult monarch in the Valley in the past five weeks (and about 6 in the Sierra, migrating westward). I have not seen a single wild larva in 2018. Anywhere! Everybody's talking about it. We know there was some breeding at Fallon, Nev., but only a couple of adults have been seen in Reno. Either they are breeding in recondite places, which is possible, or the population is in serious collapse. We will know which by early November when we see what shows up at the overwintering sites. One thing is certain: it's not due to milkweed shortage!" They should be passing through our area soon. In fact, the third anniversary of "The WSU Traveler" is rapidly approaching: On Labor Day, Sept. 5, 2016, one of the tagged butterflies from James' citizen scientist program in Ashland, Ore., fluttered into our yard (see above photograph). The monarch, a male, hung around for five hours, sipping nectaring and circling around. Maybe we'll see another tagged one this year? The odds do not look good. "While the migration from the PNW (Pacific Northwest) to California has been underway for about 2 weeks, September is when it really ramps up. Unlike the migration in eastern USA this year, our migration is subtle and comprised of much smaller numbers of butterflies. 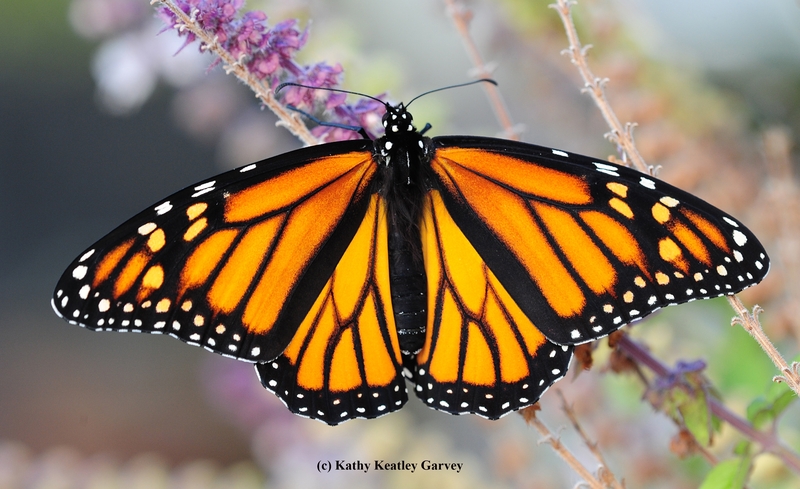 In fact there will be very few Monarchs migrating south from British Columbia, Washington and northern Idaho because we simply did not have significant summer populations in these areas this year. However, our research-based WSU breeding/tagging program will result in hundreds of tagged Monarchs migrating from various parts of Washington State. Apart from the celebrated Washington State Penitentiary tagging program, this year we also have more than 30 members of Cowiche Canyon Conservancy (Yakima) and the Washington Butterfly Association (Seattle, Spokane) each rearing and tagging small numbers of Monarchs. 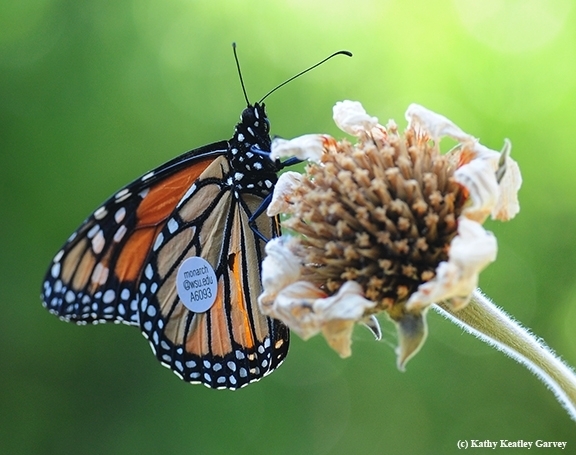 The first tagged Monarchs from this program were released yesterday (August 30) so watch out for them as they head south! And please be ready to capture an image on your phone that you can email to us." So, if you see a tagged monarch butterfly from the WSU program, kindly photograph it and send the information to David James and his fellow researchers at monarch@wsu.edu.